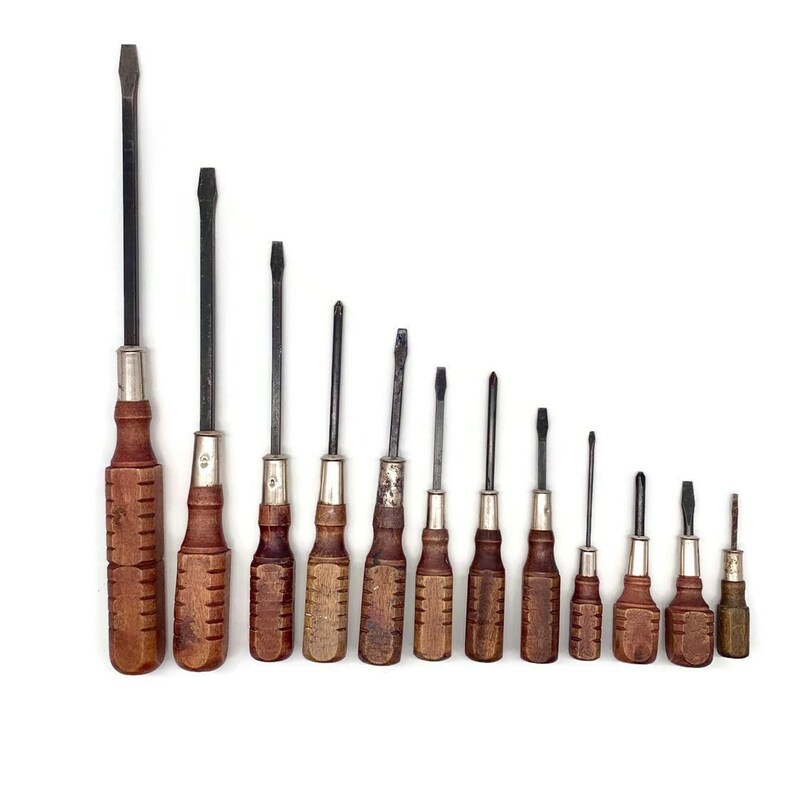 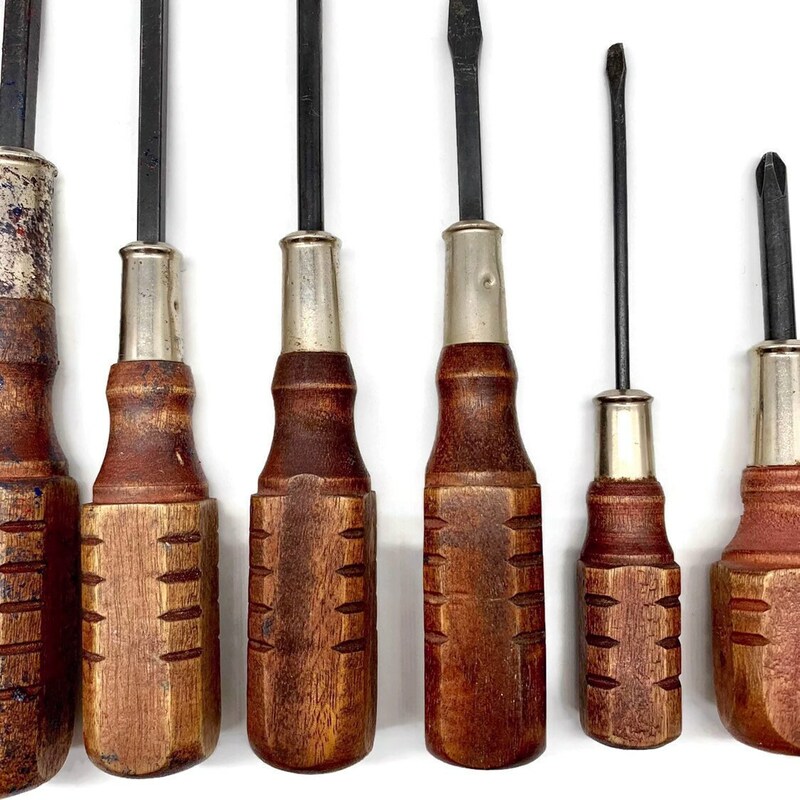 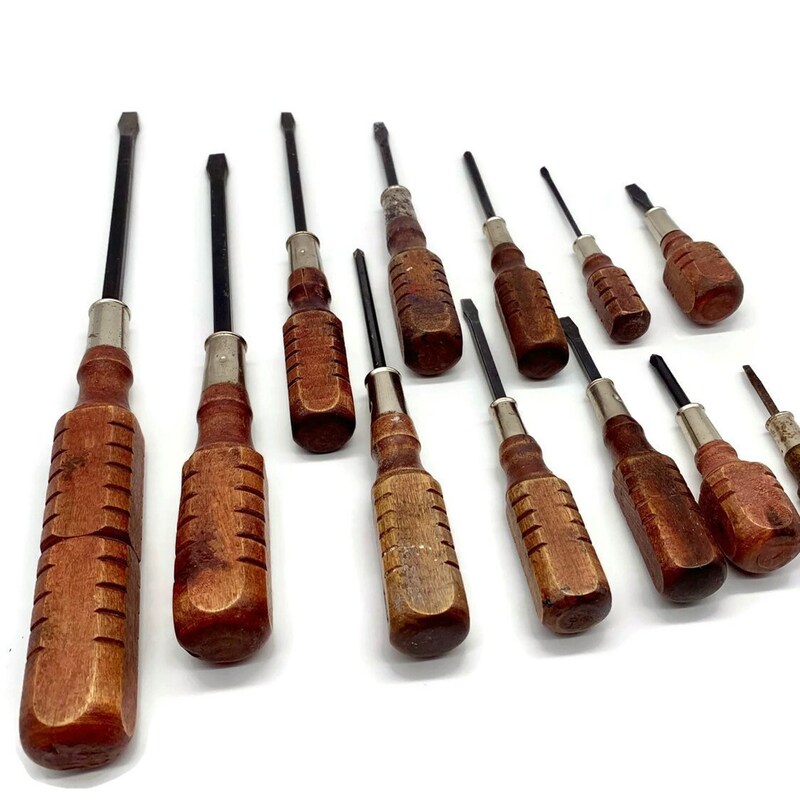 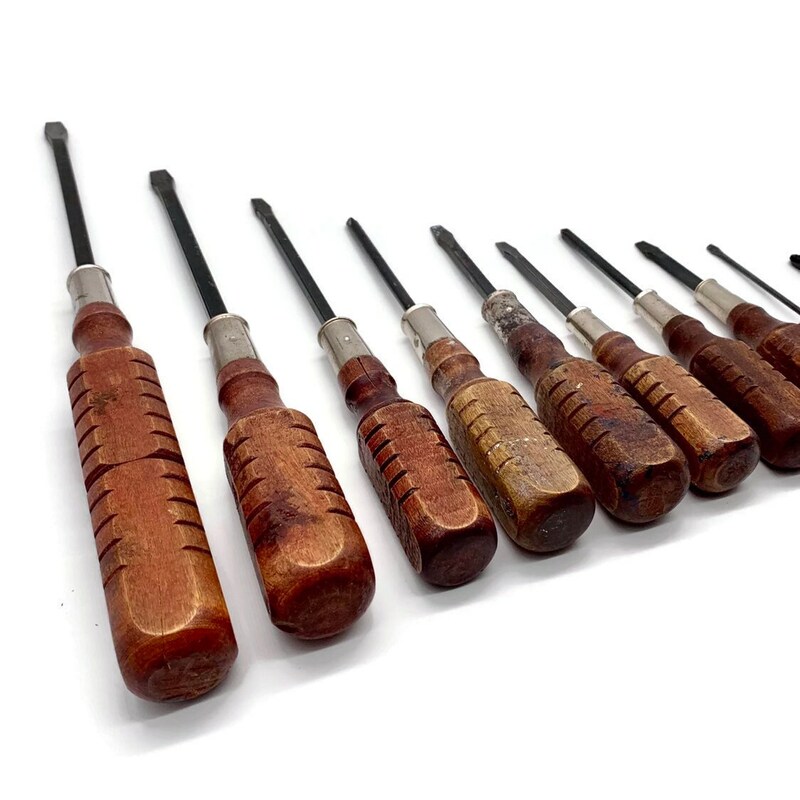 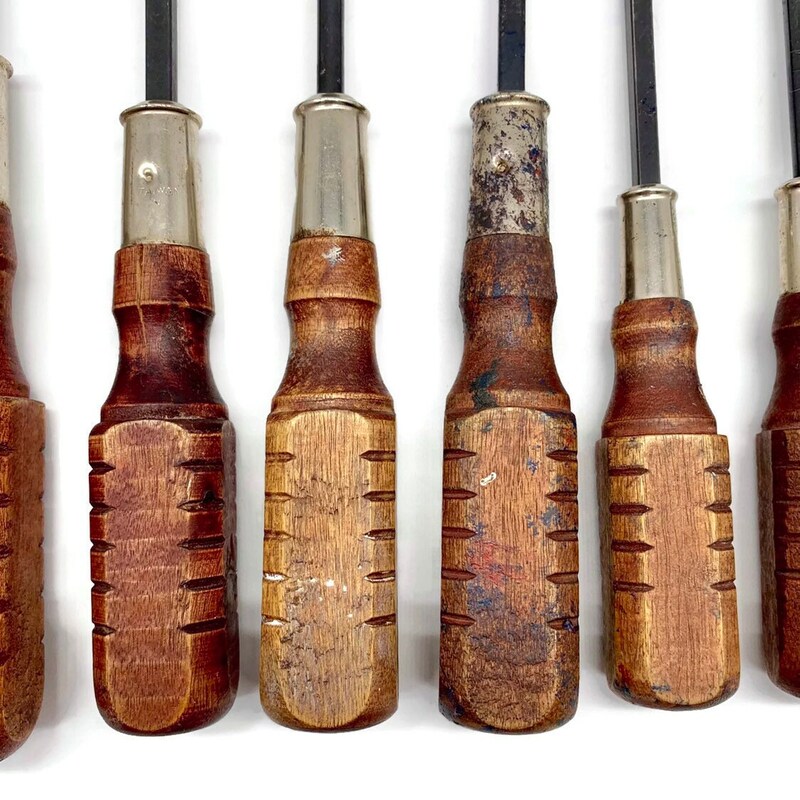 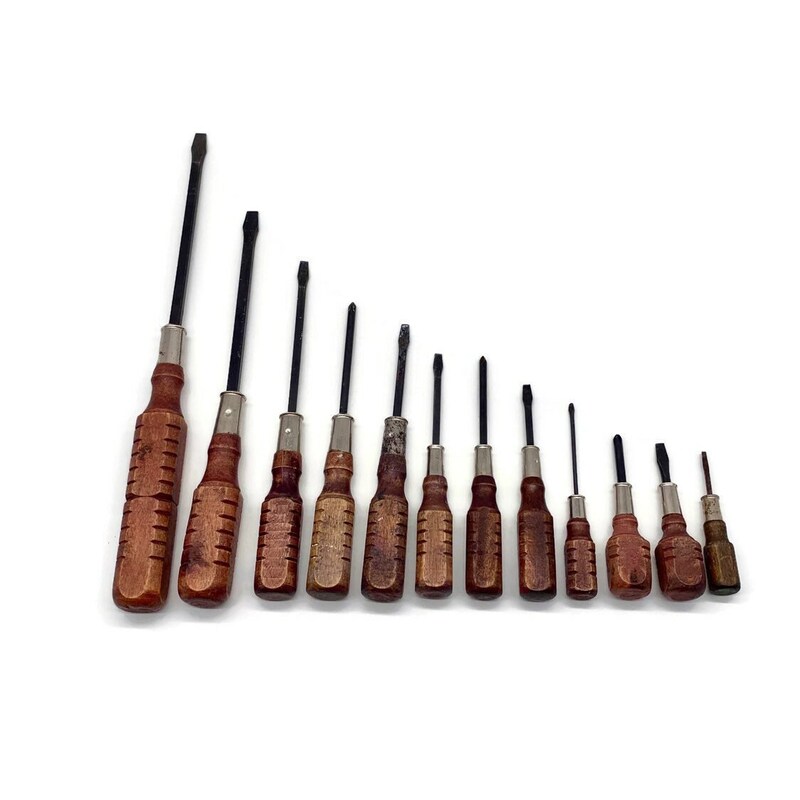 One of my favorite finds lately - a hand carved wooden set of 9 standard flat heads and 3 Phillips screwdrivers. 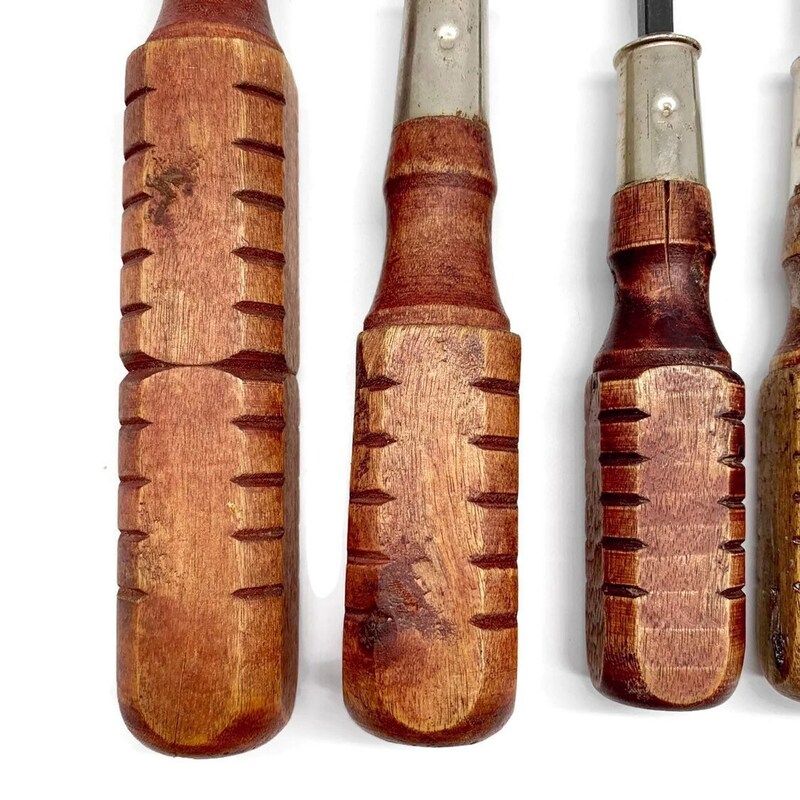 The set has some wear, paint, and some rusting on the metal attachment pieces. 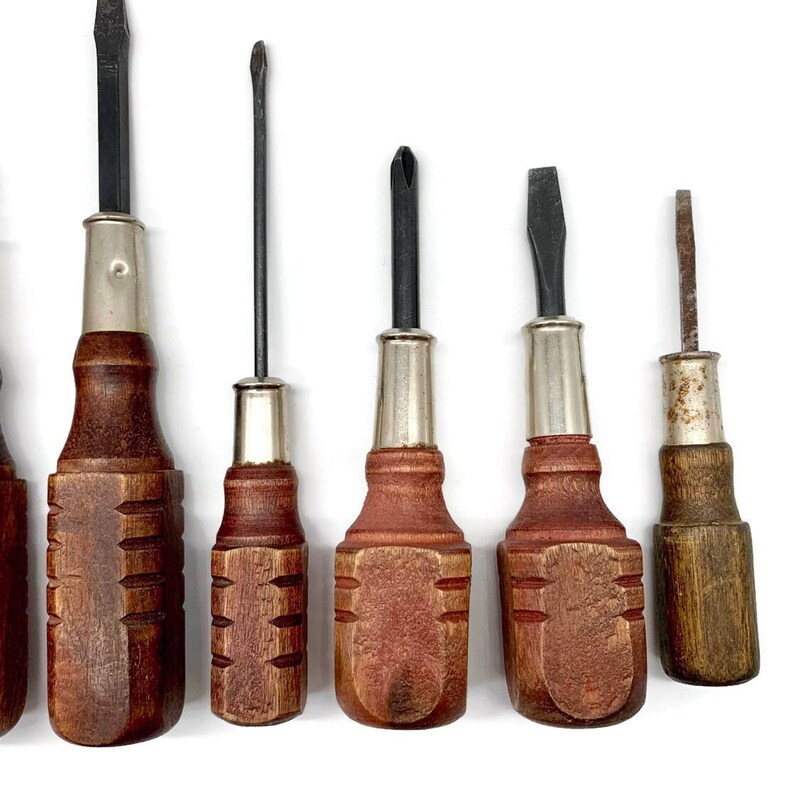 5 of the metal caps have been stamped "Taiwan." 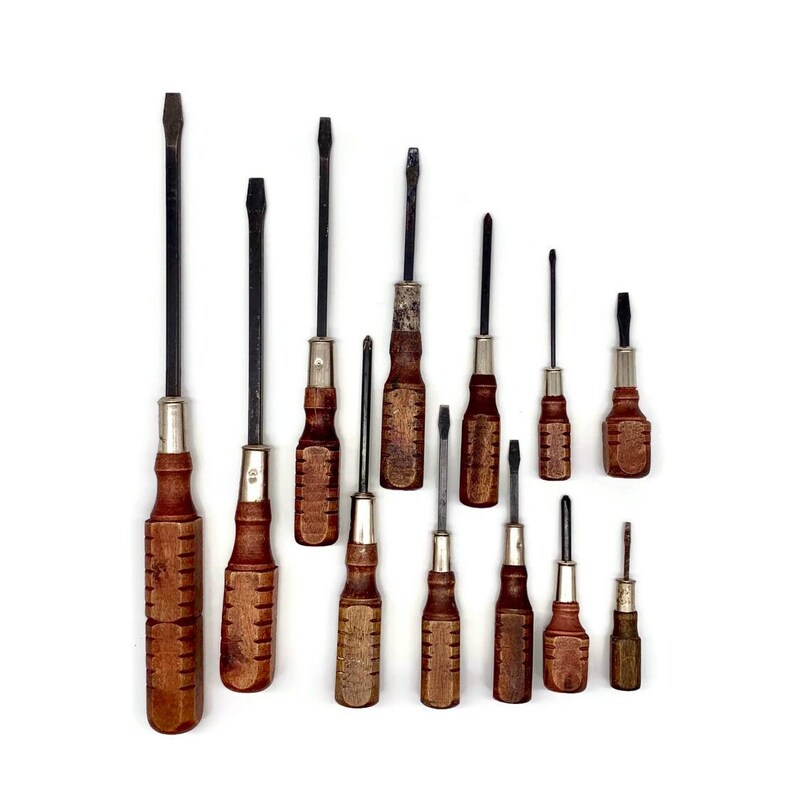 + Combined weight is 2 lb., 1 oz.